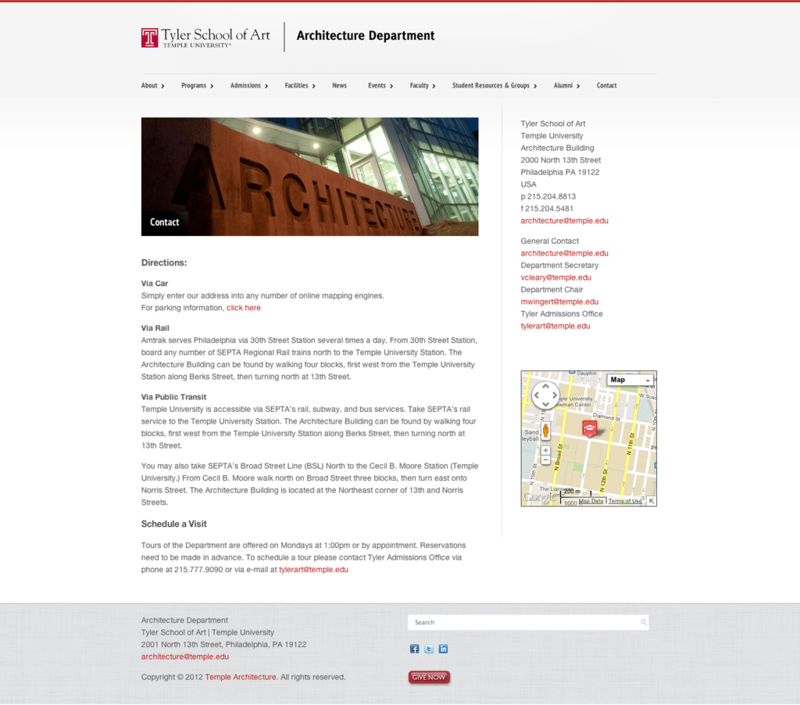 21xdesign was asked to create the online presence for the Architecture Department at Temple University. 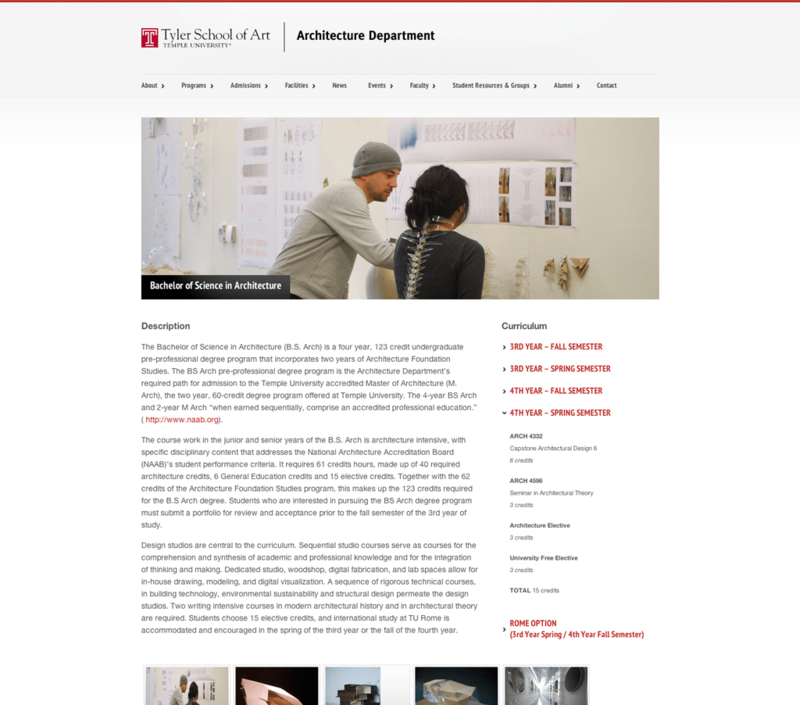 This site is designed to give prospective visitors to the site, an overview of the Architecture department, its facilities, faculty and course offerings, as well being a vehicle to showcase student work. 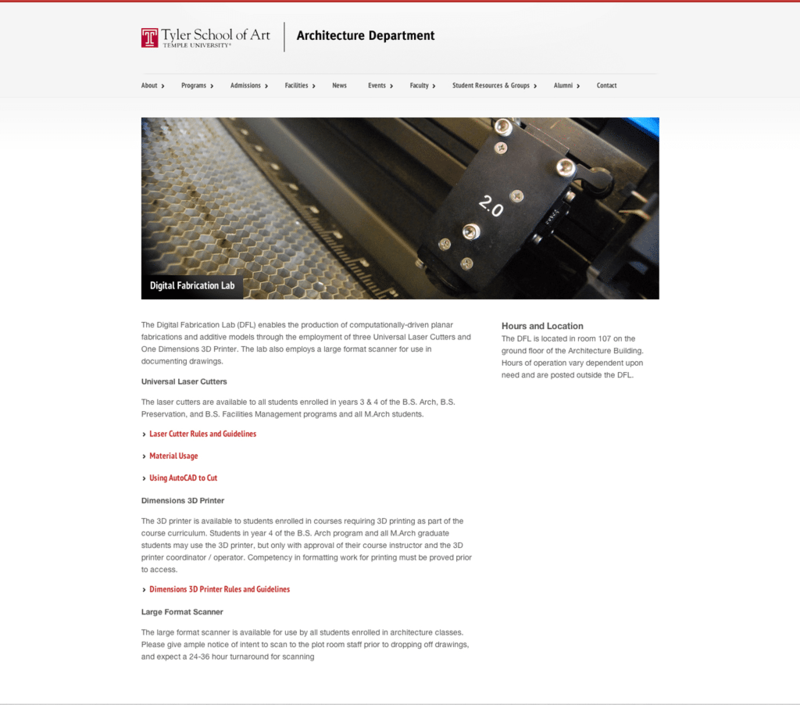 The site is designed using WordPress for the content management, and allows the department to add and modify content throughout the site. 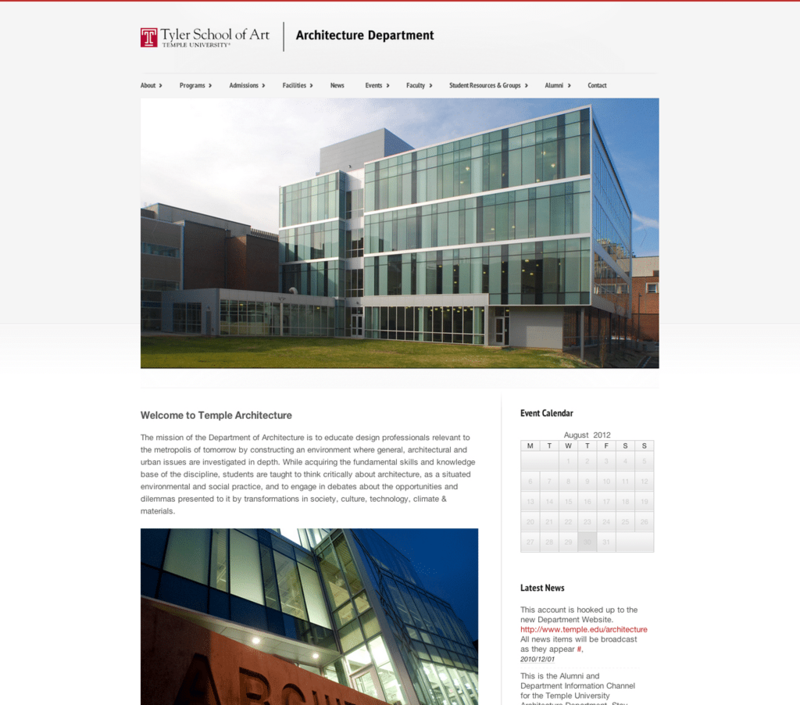 21xdesign did both the design and the back-end programming to develop the site.